Headphone manufacturers are launching more and more wireless headphones as most of the flagship smartphones are now being launched without the headphone jack in favour of wireless audio. Due to this shift, the prices of wireless headphones have dropped massively. Therefore, this is the best time to own a wireless headphone. 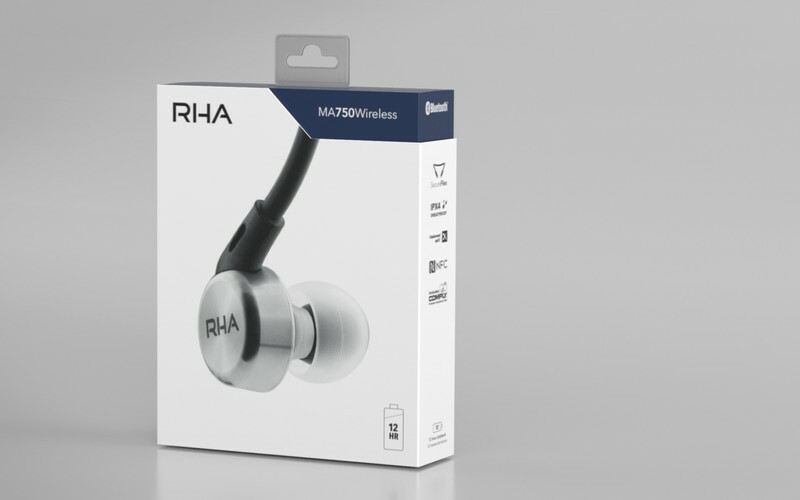 If you are in search for an ultimate wireless headphone, then the RHA MA750 wireless is the one for you. These headphones provide with rich experience from as soon as you open the box. The headphones come in a very rich packaging that includes a metal earbud holder, and a high-quality pouch. As soon as you pick up these headphones, you will be amazed by the build quality; they are made out of metal and soft touch plastic. The RHA MA750 provides a clean and balanced sound quality that no other wireless in-ear headphone can provide in its price range. The highs, mids, and the lows sound as they are intended to. The headphones also feature USB Type-C port, aptX codec, AAC codec, and 12 hours of battery life, which makes them impeccable. The BeatsX is an excellent wireless headphone for iPhone users because it features W1 chip, which basically provides with high-quality sound transmission and better connectivity, for iPhone users. The headphone is made from high-quality materials due to which the fit and finish of Beats X are awesome. As for the sound quality, they aren’t balanced at all. However, they sound very exciting. One can enjoy the depth of the bass from these headphones. Although, keep in mind that these headphones don’t feature aptX, which means, these headphones will sound bad when you connect an Android smartphone. The Eoz One is the most sensible wireless headphone in the market because it covers the basics very well. In any wireless headphone, the fit is the most important part, and the Eoz One scores very well; it fits nicely in your ears and feels very comfortable too. The Eoz One also features aptX and AAC codes for compatibility with Android and iOS as well. The sound quality from Eoz One is on the warmer side. The bass is tight, the mids are clean, and the highs are decent too. If you are a person who prefers exciting sound over the balanced sound then look no further than the 1More IBFREE. The headphones feature superb build quality and great design as well. The headphones are tuned in such a way that the bass sounds very tight, and the highs are very pronounced, due to which the IBFREE gives a sense of sound quality that of a more expensive headphone. The headphones also feature aptX and AAC connectivity, which ensures superb, distortion-free sound quality when paired with iPhone or an Android smartphone. Even though you can get many wireless headphones on the market for less than Rs. 1,500, we suggest you to spend at least Rs. 2,500 and get the Brainwavz BLU-100. Any wireless headphone below the Brainwavz BLU-100 isn’t worth buying. These headphones feature aptX technology, which improves the sound quality significantly over the non-aptX enabled headphones due to its better encoding algorithm and higher bit rate. The BLU-100 has decent build quality and good sound quality. If you are an Android smartphone user, then we strongly suggest you buy a headphone that is equipped with aptX, and if you are an iPhone user, you should buy a headphone that supports AAC. Keep in mind that if you buy a headphone which isn’t equipped with these technologies, then you are going to have distortions while listening to audio, which will definitely spoil your listening experience. Also, do try these headphones at local stores nearby you, as Bluetooth headphones are a little bulky and may not comfortably fit everyone’s ears.